“You’re f**king with the magic.” This legendary comment from a media company executive accusing Google of making it easy for marketers to track their online ad spend underscores just how much ad measurement has always been part sample, part measure; part art, part science. Online video ad measurement standards are currently a hot topic, and clearly there’s a lot of work to be done before we reach industry-wide agreement. 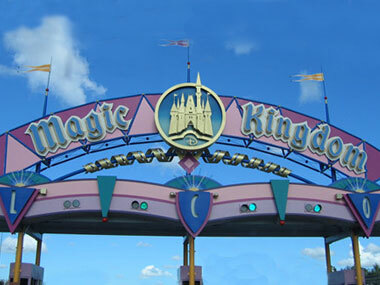 But one thing is crystal clear: This isn’t the Magic Kingdom, folks, it’s business. We need to dispense with the magic because marketers and publishers are dealing in real money, not fairy dust, and both deserve a comprehensive understanding of online video ad metrics to help them make sound investments. The nearly limitless variety of online content, devices and viewing habits has scrambled the measurement picture and created a lot of static around business value. Media and ratings giants have been circling around the online video ad measurement standard, each deciding where to stake a claim. Nielsen’s recent foray into radio and social media measurement vis a vis its acquisition of Arbitron and partnership with Twitter upped the ante considerably. AOL, comScore, Google, and many others have thrown their hat in the ring by announcing their adoption of frequency and audience metrics like Gross Rating Points (GRPs) and Target Rating Points (TRPs) — but not exactly. Industry organizations — including the Association of National Advertisers, the Interactive Advertising Bureau and the American Association of Advertising Agencies — are weighing in on the discussion, with a focus on driving definitions that can support standardization. There’s little consensus, and it seems the variations on measurement standards are as diverse as the devices, content and viewers being measured. The irony over the entire measurement brouhaha is that practically all of the online video ad measurement methods vying for “standards-hood” are still mostly magic. Don’t get me wrong: GRPs, variations thereof and other common online video ad measurement techniques all have a place in the mix. The online paradigm offers us something we didn’t have before. In a word: Accuracy. Online targeting and personalization doesn’t have to be based on a sample of data, but instead “all” of the data accessible. It’s the difference in saying males between the ages of 30-45 generally like to watch ESPN and “Bismarck Lepe” watches Bloomberg TV over breakfast on his iPad in the morning, and then watches the Food Network on Cable TV from 11-12 in the evening. The latter paints an accurate picture of a person who is more likely to consider and purchase well-targeted products and services. To achieve truly effective, useful measurement that delivers ROI for marketers and publishers alike, it’s essential we bust open the magic myth and confront the realities of the new online video ecosystem. Viewers, much like the content they enjoy and devices they use, are incredibly varied; their habits, likes and dislikes are similarly nuanced. Those nuances, and a rich understanding of them, are the metrics that can drive advertising as well as content personalization. With the right metrics, advertisers could, for example, opt to connect viewers with only the ads uniquely relevant to them. Publishers benefit because more targeted, effective reach spawns more ad purchases. Personalized content and advertising isn’t fantasy. It can be accomplished with measures that are dramatically more comprehensive and meaningful, that provide real-time granular metrics across dozens and dozens of variables and that combine those variables to create an accurate picture of each individual viewer in the online video world. Information regarding devices — including type, operating system and domain — and viewing habits such as trending content, conversion rates, video completion rates and social sharing events, must be factored in as well. Most importantly, marketers need the tools to mix and match metrics and analyze and report on all variables in real time, so decisions can be made on the fly — because that’s how online audiences roll. Online video ad measurement standards are important; we need consistency so the industry is comparing apples to apples when selling and buying advertising. But the proposed standards, with their samples, GRPs and a little bit of magic won’t suffice in this rapidly growing, highly diverse, dynamic market. Measurements that provide a more granular understanding of viewer preferences, behavior, device, location and other metrics can dramatically optimize online video advertising efficacy and reach. Without more comprehensive metrics in online video ad measurement, marketers will continue to be like magicians throwing knives blindfolded — they come close to their target but rarely hit it dead on. Bismarck Lepe is a co-founder and the President of Products for Ooyala, a provider of online video management, publishing, analytics and monetization technology. As Ooyala’s founding CEO, Bismarck raised the company’s early funding and signed many of the company’s first media partnerships. He was previously a Senior Product Manager for Google, where he managed the early growth of AdSense display and video advertising and launched more than 25 different Google AdSense products, including Click-to-Play video ads. Bismarck has a B.A. in Economics from Stanford University.